We are now in the process of laying the track around our small acreage. This meant I needed to build a new rail bending rig to form the curves in the thirty pound rail. Thirty pound rail is about 1/3 the size of a real train track. It weighs 30 pounds per yard. It's very strong and very heavy and comes in twenty foot lengths. To bend it we will use this new rig which is hooked up to a hydraulic power pack and big hydraulic cylinder. I had made a bender about five years ago (before we got our MultiCam CNC plasma cutter. It was little crude and turned out a little light duty for the task of bending the 30 lb rail. The new plasma cutter would fix that in a hurry! I measured up[ the rail and hydraulic cylinder from our steel bender. I then set about designing a new bender using EnRoute. I designed it full size, laying out all of the components and pieces as they would go. 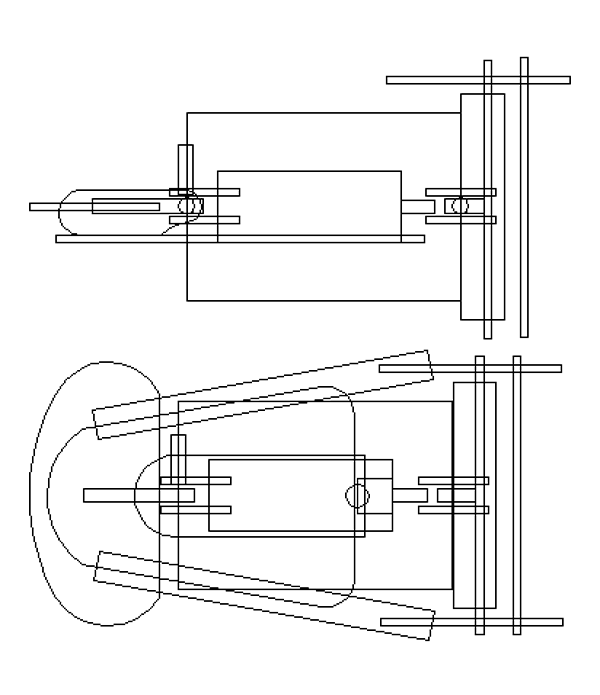 It was designed in the top view and side view. 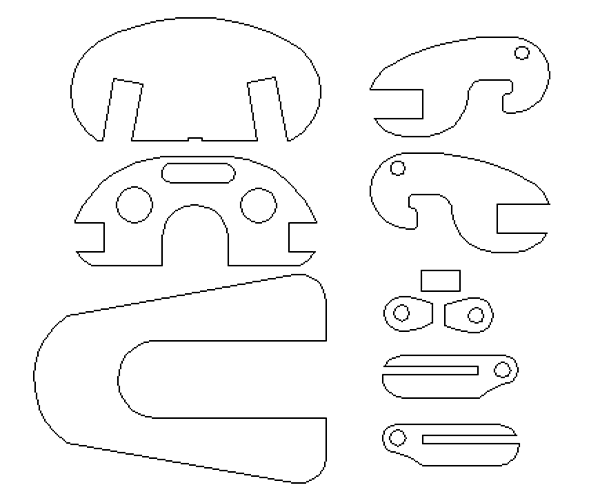 I then separated the pieces out and created cutting files to be sent t0o the plasma cutter. The pieces were cut from 1/2" thick plate. The parts cut out in a few minutes. I did a little grinding to clean up the edges and then set about welding everything together. In the space of two hours, from design through too the welding I had a new bending rig. It worked like a charm. I love it when a plan comes together!